Sean Gloss is a teaching assistant in exercise physiology. He will receive a master’s degree in exercise science in May 2018 and plans on getting a Ph.D. in exercise science upon graduation. 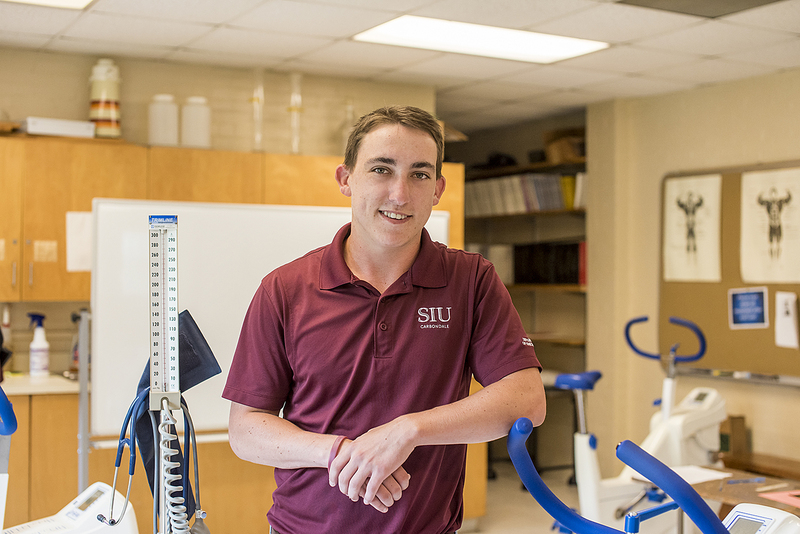 Sean Gloss originally wanted to be a physical therapist but when he enrolled in a motor behavior research class led by Dr. Porter, he quickly changed his direction of study. “I had this idea that research was boring, but Dr. Porter made the research really interesting and challenging all at the same time,” Gloss said. The research, coupled with the program’s community outreach, is what ignited Gloss’ passion for the program. To learn more about the Department of Kinesiology, visit http://ehs.siu.edu/kinesiology/. To learn more about the needs of the College of Education and Human Services, visit http://foreversiu.org/colleges-units/education.php.